For a long time, Spain has been one of the favourite destinations for travellers from all over the world. It is no coincidence that a country appears on the list of the most visited places on an ongoing basis, and there is nothing more valuable than the opinions and the trust of people, year after year, so as to measure the development of tourism in an area. Of course, this place is an unbeatable setting to fully enjoy a vacation, and much better if it is through the food and wine tours in Spain. Do you wonder why? The wealth of a country is measured, among other things, in the cultural variety it offers. When travelling through the Spanish territory, you will discover how things as important to culture as traditions, architecture or gastronomy vary from one place to another. This makes it difficult to take a wise decision where to choose food and wine tours in Spain, but don´t worry, we´ll help you with that! In addition to its wide cultural spectrum, Spain offers some of the most enchanting landscapes in the world. You can visit cosmopolitan cities, such as Madrid or Barcelona, discover the sunny Mediterranean coast in Valencia or get to know one of the most captivating communities in this country, Galicia. 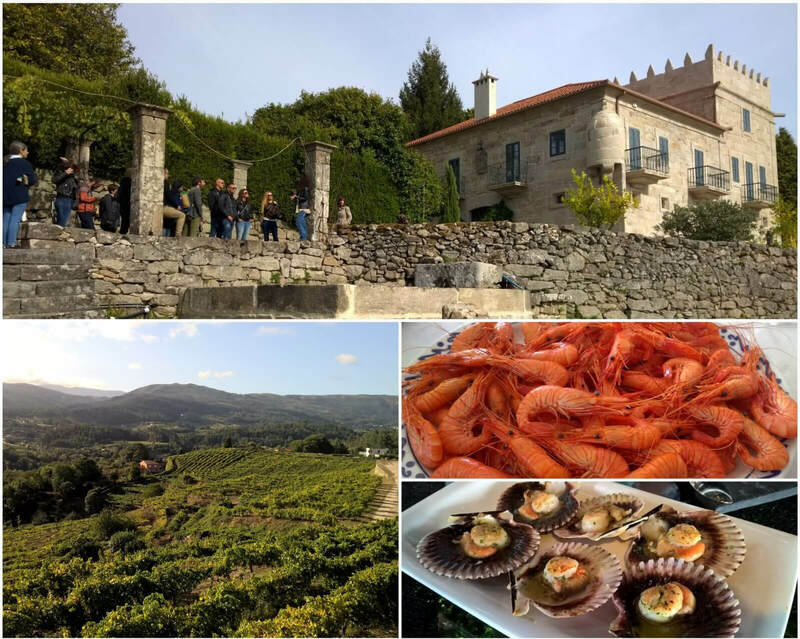 With its fascinating green countryside and beautiful mountainous areas, Galicia is one of the best places to enjoy food and wine tours in Spain. Besides falling in love with its hills and mountains, you can also appreciate its magnificent coastline with impressive cliffs and white sand beaches. You may travel to Spain on different occasions, but it wont be enough to discover all the variety of things thanks to the broad culture of this country and its geographical and culinary diversity. In addition, the friendly approach of its citizens will help you learn first-hand about everything that is part of their daily life. You will become one of them! 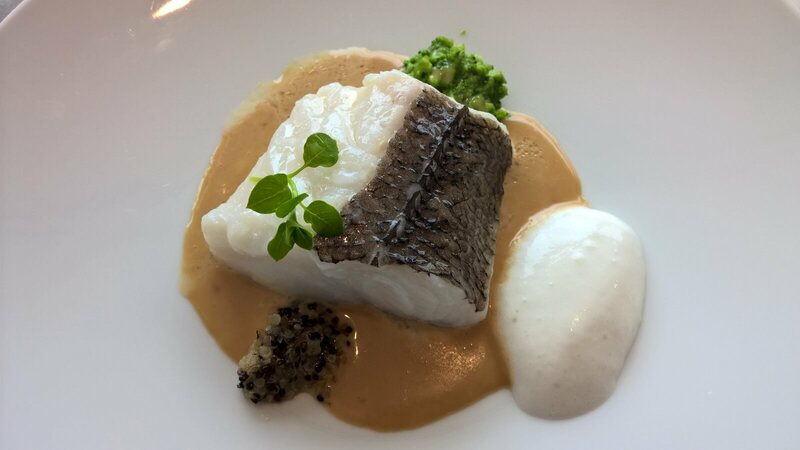 In comparison to the extension of its territory, Spanish restaurants boast a large collection of Michelin Stars, thus reflecting the concern for a careful gastronomic culture in constant progress. But, a success record of such scale couldn´t be achieved if it were not for a widely developed culinary tradition, and this is what Spain definitely triumphs at. One of the reasons why Spain enjoys excellent gastronomic health is the raw material. The climate of the country allows cultivating fruit, vegetables and greens in general of high quality, in addition to well-developed livestock-farming and cheese-making tradition. You have surely heard about the delicious Spanish “Serrano” ham. Let yourself be conquered by the Mediterranean cuisine! Spanish “Serrano” ham is known to be one of the most popular “tapas” throughout the country. There is nothing better than a good portion of this delicacy accompanied by a good wine to enjoy the day. Four geographic areas specialize in the production of the “Serrano” ham and take charge of its distribution, so that everyone can get delighted by its taste. The Valencian “Paella”, the Madrid-originated “Cocido” or the Spanish potato omelette are most fundamental dishes of the traditional Spanish cuisine, but there are many others to be tasted in this country. 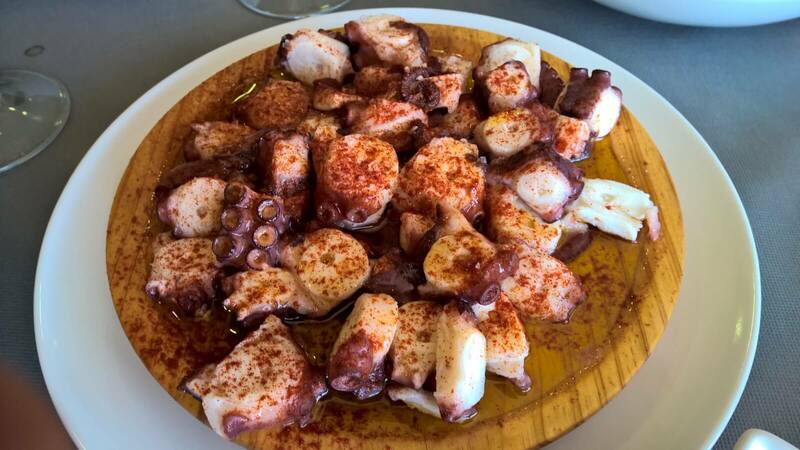 For example, Galicia offers us the "Pulpo a Feira", one of its traditional dishes that make that region an ideal destination to choose for food and wine tours in Spain. The Spanish countryside offers a wide range of landscapes of vineyards throughout the entire territory of the country. You can enjoy its views, but the best thing is to taste the high quality wine that is produced there. Going for “tapas” would not be the same if the wonderful food was not accompanied by a glass of wine according to the circumstances. The same would happen with food and wine tours in Spain. Different producers specialize in the cultivation of different types of grape in order to create some of the best red, rosé and white wines in the world. One of the regions with the best white wines in Spain is Galicia. The white wines are ideal to accompany fish and seafood dishes, which are traditional in the area. From the sea to your palate and accompanied by the best wine! As you can see, there is not only one reason to enjoy a trip to Spain. 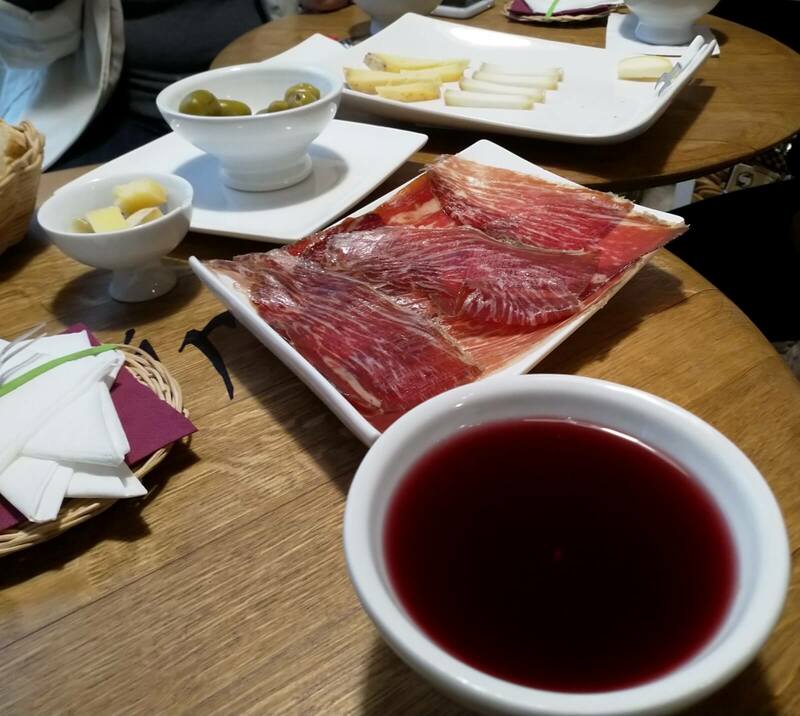 If you add its geographical and cultural variety with its diverse gastronomic traditions and care for the creation of good wine, you will only have to choose the part you like to go on food and wine tours in Spain. It will be an unforgettable experience!